Another Valentine’s Day is here, and with it a slew of candy, flowers, and expectations, some valid, and some a little unrealistic, being exchanged. So let’s talk about love for a minute. We’ve all said the words “I love you”, but how often do we stop to consider what that really means? I like the quote above, because it speaks to the fact that love is not some passive emotion over which we have no control, but is instead a choice that we make, one that necessitates that we take certain actions. I like the idea of love as a verb, something that galvanizes us to strive toward an ideal. The alternative, the concept sold to us by songwriters and screenwriters over the years, is a kind of bizarre idea that love is some external force that will either save us, if we can find it and keep it, or will destroy us, if we manage to find it and are then unlucky enough to somehow lose it. It’s a depressing thought, but the reality is far more hopeful. The truth is that we each have a vast reserve of love within us, just waiting to be tapped, so it can flow out and touch the hearts of everyone we know, changing their lives for the better, just as it changes us for the better to give it. 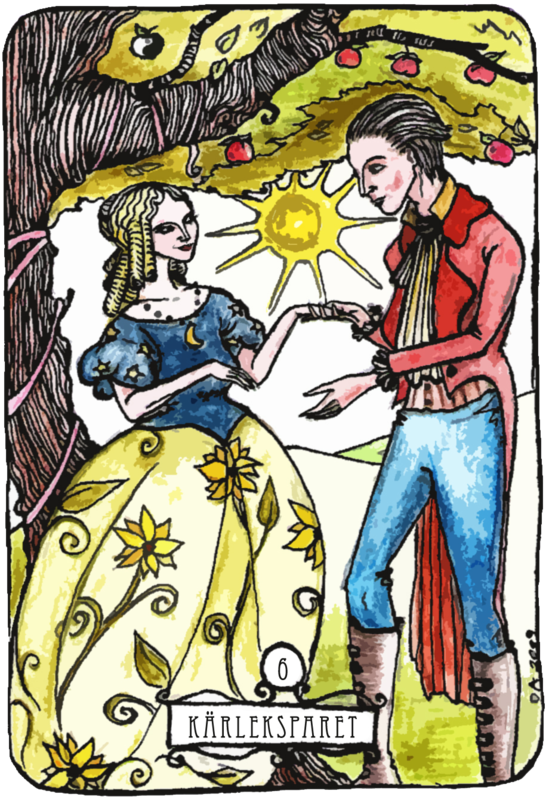 Often, the folks who come in to our shops for tarot or tea leaf readings have questions about love: how to find it, how to rekindle it, how get over it when it ends….these are all questions that I think are universal, and there seem to be no easy answers. The toughest love questions I get, though, are the ones where the love is unrequited. “When will she come back to me?”, or “What will it take for him to leave his wife so we can be together?” are just a couple of the all-too-common questions I hear. The inability to move past love that has gone awry seems to affect all of us at some point in our lives. Who hasn’t hoped for that certain ex-sweetheart to come to their senses and suddenly see how awesome we really are? Hollywood has taught us to believe in happy endings and fairytales, and the bestseller lists are filled with impossible stories of love conquering all. There’s even a huge a genre of love stories that tell us that being a vampire, werewolf, or (and I can’t believe I’m saying this) a ZOMBIE, doesn’t have to stand in your way of finding TRUE LOVE. Ohferchrissakes! What I come back to over and over again when I think about love, is that it is meant to be a selfless yet joyful act. When I see my kids, the response in my heart is about what I want FOR them, not FROM them. My love for them inspires a desire for them to be happy and to be free. I use that feeling as a gauge in my romantic relationships: I ask myself often what I want for my partner, versus what I want from him. Am I bringing as much to the relationship as I can? Are my needs being met? Are his? Are we communicating honestly and openly and with mutual respect? Are we having fun? When the answers are “yes”, then I can be sure I am engaged in the practice of love. So my wish for each of you is that you have the chance to give some love today. If you have a partner, great! If not, find a way to express your love to someone else you adore – a parent, a sibling, your best friend, a neighbor – reach out and extend the blessing of love, and by giving it away, feel it increase within you as well. My friend Linda likes to say that there are only two ways to go through life, with your heart open or with your heart closed. I want to keep mine open. Join me, won’t you? Heatherleigh Navarre is a renowned psychic medium and meditation coach, and manages the Boston Tea Room in Ferndale, Michigan, one of two conscious living gift stores owned by her family for over thirty years. Her specialties are Tarot, spirit communication, and dream interpretation. She is also the founder of Middlepath Meditation, which provides group meditations and weekly classes. She lectures and teaches on a variety of topics, throughout southeast Michigan, and across the country. Find out more at bostontearoom.com.